The glass in a double glazed window is called a sealed unit. The basic sealed unit comprises two sheets of glass separated by a spacer bar. The units are sealed and the air between the glass is kept moisture free. Toughened safety glass is essentially float glass, which during manufacturing, is heated up until it begins to soften and then cooled at a fast rate. This makes the glass stronger, but if it breaks causes the glass to shatter into smaller lighter fragments, making it less likely to cause injuries. 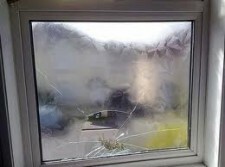 Toughened safety glass is a requirement in high risk areas such as doors and low windows. Laminated safety glass is made up of two or more sheets of glass bonded together with a plastic interlayer. In the event of breakage, the glass fragments remain bonded to the plastic interlayer. The glass fragments are held together and the glass retains a residual strength. Therefore laminated glass can often be left in place while awaiting replacement. Obscured or patterned glass provides privacy while allowing maximum light through the glass. The glass is made by applying a texture to one side of the glass. There is a wide range of textures available, which provide different degrees of privacy. 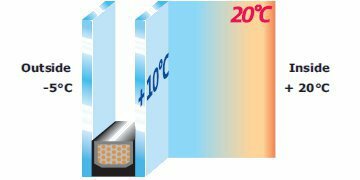 Solar Control Glazing is designed to reduce solar heat gain by blocking up to 2/3 of heat from the sun light by reflecting it to the outside. It can be used in large areas of glazing where overheating is a problem, like conservatory roofs or south-facing patio doors. A permanent, transparent coating on the outside surface of the glass harnesses the power of both sun and rain to efficiently breakdown and remove dirt and grime such as dried, dirty water marks, dust and insect residues. 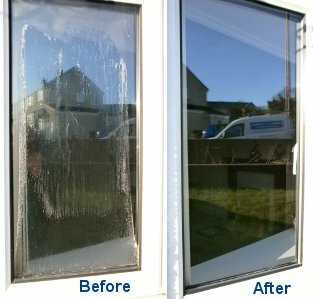 Low-maintenance glass requires less cleaning and is easier to clean, should it be necessary. Leaded Glass in double-glazing is an effect which is achieved by lead strips being glued to the external side of the glass. The main patterns are diamond, square and rectangle, but basically any design can be produced. If your leaded glass needs to be replaced, the existing design will be matched as closely as possible. Georgian bars are a traditional design feature. The bars are in various widths and generally the same colour as the frame. Some of the possible designs are border design, gothic arch, gothic half arch, gothic double arches, or Georgian square with gothic arch. Similar to Georgian bars are Victorian grilles. The grilles are generally in chrome or gold finish and come in 6mm or 8mm widths. Possible designs are for example victorian or gothic arches, double gothic arches, or victorian grille. The spacer bar is the frame which separates the two glass panes in a double glazing unit. Aluminium spacers are most commonly used and recognizable by their silver colour. Spacer bars are also available in bronze or gold finish. 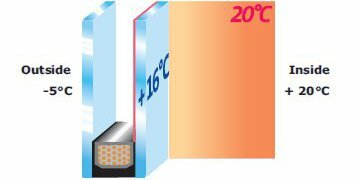 Windows with a higher energy rating, using Low-E glass typically use a different material to improve the thermal isolation of the sealed units. These spacer bars are available in black or grey. Various factors can result in the break of the seal and moisture can penetrate into the unit. When the unit cools down the moisture will cause condensation inside the unit. An effect often described as steamed, misty or cloudy window. And of course glass can get scratched or break. But whatever the problem with the glass in your double glazed window or door, there is no need to replace the whole window or door. You can keep the frame and just replace the glass unit. As a minimum, a sealed unit must be replaced with the same specifications as the old unit. A replacement might offer an opportunity to upgrade the design. This can range from better energy efficiency, safety glass, solar control glazing, low-maintenance or obscured glass to design features like leaded, stained or bevelled glass to Georgian or duplex grilles. New sealed units are made to measure at the factory and come with a 5 year guarantee against seal failure. We will measure the exact size of the sealed unit and determine the required glass and design options. A replacement is quick and uncomplicated and it only takes a few days until the new unit is ready for installation. We will also take care of your old unit and make sure the glass will be recycled, if possible. If you need to have a sealed unit replaced we are happy to provide you with a free no obligation quotation. Just let us know .